-Is Regular Medical Delivery Creating Openness through New "Rules for Radical Redesign"? -David (Katz) vs the Science-Based Medicine Goliath: Who is the Science Denier? -Is There a Role for You in Right Language to Release the River of Health from the Medical Industry? The title of the open access article at PLOS from a Harvard Benson-Henry Institute mind-body team is "Relaxation Response and Resiliency Training and Its Effect on Healthcare Resource Utilization." The team took a retrospective look at healthcare utilization of more than 4000 patients in the Relaxation Response Resiliency Program (3RP) and compared them to a usual care cohort. The finding: "At one year, total utilization for the intervention group decreased by 43%, clinical encounters decreased by 41.9%, imaging by 50.3%, lab encounters by 43.5%, and procedures by 21.4%. Measured by dollar, reduction was estimated as "on the order of $2360/patient/year." The authors note that "this reduction is on the order of that found by 3 other groups in "other similar time-limited interventions." Their Policy Recommendation: "The data suggests that the intervention should be applied to all at risk populations, since the intervention has minimal risk, minimal cost and yields substantial benefits for patients with a wide variety of illnesses. The long-term effect of these interventions on healthy populations is unclear, but the data suggests that mind body interventions should perhaps be instituted as a form of preventative care similar to vaccinations or driver education. Such interventions are likely to be useful in population management and supported self-care, have negligible risk and cost and may help reduce the demand curve in healthcare. While the risk benefit ratio of this intervention is very favorable to further elucidate the effect size a prospective evaluation is called for." The 3RP work began with research by Herbert Benson, MD 4 decades ago and evolved into a group-delivered intervention developed by Benson and Eileen Stuart, RN, PhD and others starting in the 1980s. Comment: This is a very important paper showing a huge reduction with tremendous potential personal and socio-economic benefits. Imagine the headlines if a pharmaceutical was found to have this impact. Given the cost crisis in US medicine, a network of trials should immediately begin with multiple populations in diverse social and cultural settings to see how well these findings can be replicated. To not do so is unconscionable for anyone who thinks we have a crisis in our medical delivery industry and who sees how medicine's voracious appetite is devouring the ability of the USA to deliver other basic human services. Then again, if one is whirling in the cash of the 3-trillion industry like Slim Pickens riding the bomb in the 1964 classic, Dr. Strangelove, this Harvard study is one to brush aside, like a gnat. 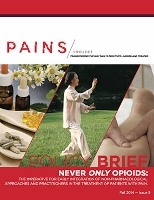 "[APHA] Urges pain prescription providers to be educated on identifying, and treating pain with alternative modalities and to coordinate pain management with complementary and integrative care providers." The policy statement, entitled "A5: Prevention and Intervention Strategies to Decrease Misuse of Prescription Pain Medications," was passed by APHA on November 3, 2015. It was championed by Cynthia Stone, DrPh, RN from the APHA's Public Health Nursing Section. Comment: Sometimes fun to recall how the sausage of policy is made. Here's a re-cap of some of the inputs, for those counting. An interprofessional ACCAHC team lead by Martha Menard, PhD, LMT creates the Never Only Opioids paper. (I had the opportunity to be on the team.) NCMIC Foundation provides a grant to support publication. It is published through the 40-organization Pain Action Alliance to Implement a National Strategy (PAINS) to give it more stature. A group of chiropractors begin championing the theme and Maiers takes the lead in moving it toward an APHA resolution through the Chiropractic Section. The APHA Section on Integrative, Complementary and Alternative Healthcare Practices provided some support. When the chiropractic-led initiative hit prejudice-based road-blocks, Maiers and her team turned to the Public Health Nurses, who incorporate supporting language. It is passed by APHA. Nice. Now, here's hoping that the chiropractors will persevere in promoting a more powerful version. Good work! The Integrative Health Policy Consortium (IHPC) has issued a call to action to derail the misleadingly titled "Safe and Effective Food Labeling Act of 2015" (H.R. 1599). The industry backed bill does not require mandatory labelling of GMOs and includes a clause "that legally restricts states from passing their own labeling laws to protect their citizens!" The bill, according to IHPC, "snuck through Congress and is on its way to the Senate." They urge registering opposition to HR1599 and also support of a separate bill, S. 511, sponsored by California Senator Barbara Boxer that "supports mandatory GMO food labeling, and can be found here." The October 2015 Integrator Round-up highlighted the battle over adoption of a whole systems view that would put sustainability considerations into USA Dietary Guidelines. Such inclusion, denied by industry-influenced federal agencies (Agriculture, Health and Human Services), could, if included, impact policies related to transportation, energy, farming, economics and environment, to name a few. On November 2, 2015 at the American Public Health Association's annual meeting in Chicago the following trio were part of a panel focused on the issue: Roni Neff, PhD, MS from Johns Hopkins, Kim Robien, PhD, RD, from George Washington University and David Wallinga, MD, MPA with the NRDC took up the subject. Robien noted that the 2010 guideline acknowledged sustainability as an issue but did not directly address the issue. Wallinga discussed a billionaire-funded foundation strategy that is seeking to move the Guidelines work to the Institute of Medicine. In comments after the session, Wallinga shared that plans are already beginning= toward a campaign to successfully include sustainability provisions in 2020. Comments: The quality of the coalition on this is extraordinary - including not only NRDC and Hopkins but the Sierra Club, Citizens for Science in the Public Interest, and many more. The Integrator is planning a Reader Forum on the topic. Stay tuned. Meantime, consider this excellent blog on Embracing Complexity in the Guidelines by Integrator reader Jamie Harvey of Commons Health. Harvie's post was written last spring and includes excellent links, including this from Marion Nestle's Food Politics blog. Harvie states that "the arguments that individual health is somehow isolated from the health (or sustainability) of our food system are the frantic, specious, cries of a failing industrial food industry." Business Group Webinar Argues That "The Future of Health Care is Complementary, Integrative and Holistic"
The title of the November 17, 2015 (11:30 AM ET) webinar captures the dreams and beliefs of many in the integrative health and medicine movement: The Future of Health Care is Complementary, Integrative and Holistic. The difference is that energy behind the event includes two employer organizations: the host, the American Sustainable Business Council, and a separate promoter, Holistic Chamber of Commerce. They combined with the Integrative Health Policy Consortium (IHPC), a co-sponsor of the event. Speakers include John Gamlin, Director of Human Resources at New Belgium Brewing, Kent Bradley the former Chief Medical Officer of Safeway, and Wayne Jonas, MD, CEO of the Samueli Institute. 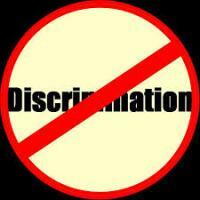 One focus is Section 2706, Non-Discrimination in Health Care. To sign up, click here. Comment: How pleasing when someone else runs your own copy: "One of the most important developments in American healthcare is the growing use of complementary and integrative options like acupuncture, massage therapy, midwifery, chiropractic and naturopathic medicine. These therapies have been increasingly shown to deliver excellent outcomes with high levels of personal satisfaction and often at lower costs than standard care alone. This is why corporate wellness programs are beginning to use these complementary and integrative health options." Looking forward to the regular Chjamber catching up with these leading edge, whole system, business types. A note to the Integrator from Alyssa Wostrel, executive director of the Integrative Health Policy Consortium (IHPC) shares that the International Chiropractic Association has fully endorsed via this release IHPC's CoverMyCare campaign. ICA "encourages all organizations in the chiropractic profession to become familiar with and engaged in its promotion and its utilization." Wostrel thanks to ICA vice president Steven Welsh, DC "for his lead with ICA on behalf of CoverMyCare and especially for the outreach program to the state chiropractic associations through the Congress of Chiropractic State Associations." She adds that "this is the perfect model of engagement for IHPC and CoverMyCare as it provides a link to the state associations so we can stay engaged and current with those leaders about state level activities regarding Sec 2706." Comment: Any other national associations ready to step up and help make these connections? An article in Oregon's health policy chronicler The Lund Report called Naturopaths Face Legal Challenge from Health Net underscores the laborious nature of the legal process the Oregon Association of Naturopathic Physicians (OANP) is facing in taking on the insurance giant. The report notes that "the discriminatory Health Net/ASH practices cited in the [OANP] lawsuit allege that unlawful limitations are imposed on naturopathic physicians as compared to other medical practitioners who provide commensurate medical services." Health Net has moved to throw out the suit. Laura Farr, OANP executive director responded: "We anticipated this and are preparing a response for the court right now; it's going to be a long process." Farr expects a resolution no earlier than summer of 2016. The low-tech, high visibility work of the Paula Gardiner, MD, MPH-led group at Boston Medical Center in integrative medicine group services is now being explored with a high-tech addition. The new component, according to team member Kelly McCue, MPH in a presentation at the American Public Health Association, is "embodied conversational agent" known to the team as "Gabby." In a trial, Gabby - presented via an 8" Dell tablet - received high marks from trial participants in the safety-net setting in "reducing stress" and "talking about healthy eating." Gabby proved useful in helping participants maintain positive habits and extend the duration of the value of the group visit intervention. Comment: Fascinating tool. This is a surprising and interesting advance on the pioneering work of the Boston University team that recently netted a quality piece in Health Affairs. 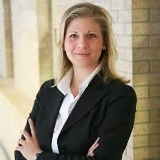 (See "Health Affairs Features Katherine Gergen Barnett, MD on BMC's Integrative Group Visits Program" at this July 2015 Integrator Round-up link.) Great low-tech and high-tech mix. On November 2, 2015 Maryland University of Integrative Health (MUIH) announced that the multidisciplinary MUIH and the University of Maryland Upper Chesapeake Health (UCH) have signed a partnership agreement. Under the agreement, MUIH graduate student interns will collaborate with physicians, nurses and other health providers at UM UCH to develop and offer an integrative medical model. Among MUIH degree programs are herbalism, acupuncture and Oriental medicine, Yoga therapy, health couching and more. MUIH president Frank Vitale framed the partnership with reference to a view that "the future of healthcare in this country depends on a model that embraces collaboration and cooperation among providers and patients." He adds: "This agreement between a university dedicated to natural medicine and a health system dedicated to the optimum patient experience is a small step with the potential for enormous impact." In the release, Lyle E. Sheldon, FACHE, president and CEO of UM UCH offers this perspective: "Treating the whole person, not just the disease or symptoms, is an integral focus in the UM UCH Kaufman Cancer Center," said. "Our affiliation with MUIH enhances our integrative health therapy services to promote balance of mind, body and spirit-a cornerstone of the mission of UM UCH." UCH, the leading medical delivery organization and largest private employer in Harford County, consists of the Upper Chesapeake Medical Center, the Patricia D. and M. Scot Kaufman Cancer Center in Bel Air and the Harford Memorial Hospital in Havre de Grace. An integrative pharmacy in Dallas, Texas, Flower Mound Pharmacy and Herbal Alternatives is reported in Pharmacy Times to be an exemplary integrative pharmacy. The business flavors itself as "a family-owned, innovative practice with an integrative approach to health through medicine, supplements and nutrition." The October 22, 2015 article notes that the pharmacy is gathering outcomes data and has achieved "measurement of reductions in cholesterol, A1C, and blood pressure seen with drug therapy and integration of supplements and lifestyle changes." The integrative component is good for the bottom line, according to the article. The writer notes that community pharmacy revenues from prescription fees "have been progressively shrinking." Yet at Flower Mound, the owners take "a 3-pronged approach-comprising prescription fees, OTC and dietary supplement sales, and clinical services and consulting fees-to ensuring its long-term financial sustainability." While revenue from prescriptions accounts for more than 70% of total gross revenue, these provide less than 10% of gross profit. The larger portion of profits is in vitamin and supplement sales and related consultations: "Scheduled private consultations paid for by the patients provide an additional $12,000/year in revenue. In addition, these consultations drive dietary supplement sales, which amount to more than $250,000/year." Comment: Nice when "doing good" means doing well. Fifteen years ago some of us placed a line in some Design Principles of Healthcare Renewal that "the renewed healthcare system is a partnership between an expanded commitment to the public health and a thriving industry of health creation." Flower Mound looks to be a piece of such an industry's contribution. This Integrator feature captures highlights from stories on the web relative to integrative medicine in the prior month. Here are 31 involving medical delivery systems and 13 more in communities. Included is the remarkable move in Oregon Medicaid to cover massage, acupuncture, chiropractic and naturopathic services in pain treatment with the intent to limit opioid addiction. Check the effective, short interview with Penny George, the first Bravewell chair. Great post from Yale IM leader David Katz, MD, MPH taking on the polarization-based medicine leaders. Out in the community, naturopathic and homeopathic clinician and educator Amy Rothenberg, ND offers a short series of videos on her own cancer process. Is Regular Medical Delivery Creating Openness through New "Rules for Radical Redesign"? Some of the most progressive forces in regular medical delivery, acting through the Institute for Healthcare Improvement, have published New Rules for Radical Redesign in Health Care. Do you see in these a noticeable move toward integrative health and medicine values and practices? 1. Change the balance of power by co-producing health and well-being in partnership with patients, families and communities. 2. Standardize what makes sense to reduce unnecessary variation and increase the time available for individualized care. 3. Customize to the individual's needs, values and preferences, guided by the understanding of what matters to the person, in addition to the typical "What's the matter?" 4. Promote well-being and focus on outcomes that matter the most to people, appreciating that their health and happiness may not require health care. 5. Create joy in work by cultivating and mobilizing the pride and happiness of the health care workforce. 6. Make it easy, continually reducing waste and all non-value-added requirements and activities for patients, families and clinicians. 7. Move knowledge, not people, exploiting all helpful capacities of modern digital care and continually substituting better alternatives for visits and institutional stays. 8. Collaborate and cooperate, recognizing that the health care system is embedded in a network that extends beyond traditional walls. 9. Assume abundance by using all the assets that can help to optimize the social, economic and physical environment, especially those brought by patients, families and communities. 10. Return the money from health care savings to other public and private purposes. Comment: So much of this reads like an invitation. Numbers 1, 3, 4, 5, and 8 each have deep roots in the integrative health and medicine field. Yet there is no mention anywhere that anything like integrative health and medicine exists. If there is awareness of that field among these leaders - as has been noted by IHI leader Don Berwick, for instance - is this a failure to acknowledge and credit one's sources? Is this a kind of plagiarism of ideas? Why not credit the outsiders who have been promoting these values for decades? Or is this simply movement toward similar values from different starting places in separate silos? Bottom line for "movement" people is that one of the rules for radicals is not to care who gets the credit. Nice to see these values articulated. And they are radical. Can you help with the redesign? Here is the link at the IHI site. Bastyr University in Kenmore, Washington is now offering a Masters of Public Health (MPH) degree program among its roughly two dozen degree programs. The program has a specialization in community health education. Graduates of the two year program are expected to find a positive job market as "public health workers who specialize in community health education are projected to grow at a rate that is significantly higher than average over the next eight years." Comment: I believe this is the first MPH program based in an institution that specializes in integrative health and medicine. Curious whether the program is a more or less a cookie cutter of what one might be seen in any other MPH program, or whether the program is infused with integrative health values. This is not immediately clear from Bastyr's site. The program will focus on giving graduates the ability to "apply human rights and social justice principles to public health problem." David (Katz) vs the Science-Based Medicine Goliath: Who is the Science Denier? Yale integrative medicine leader David Katz, MD, MPH recently was in the spotlight with the publication of HRSA-funded work of the American College of Preventive Medicine on integrative competencies in preventive medicine. The publication stirred a response from the bloggers at so-called "Science Based Medicine" (known in Integrator-speak as "Polarization-Based Medicine"). Katz, who has been the backwards looking bloggers' target in the past, decided to raise his own blogging light saber and strike back. He published in the Huffington Post "Science and Medicine, Fools and Fanatics: The Fluidity of ‘Woo'." Katz admirably wades into the fluidity of evidence, and of "woo," while also suggesting that damning him as anti-science is rather an odd pursuit given his long-time success in securing large grants from the CDC. Comment: If anyone wishes to offer a re-joinder to these Polarization-Based Medicine types, this column from Katz is a good review of how to rip them a new evidence hole. Meantime, Katz provides a link that will be useful to anyone who has had the impulse to force feed humility onto those claiming they are continuously operating on a secure evidence base. See, in Science News, this 2014 piece called Evidence-based medicine really isn't. Nothing can change them let them not change you." Colleague Rauni King, RN sent news of the battle, captured in this Huffington Post piece, over who is author and influencer Deepak Chopra, MD at Wikipedia. Writer Ryan Castle notes that "Wikipedia reports that its reliability rating approaches the Encyclopedia Britannica. While systemic bias admittedly exists on Wikipedia, it is supposedly limited to a few minor articles." Then he documents the gross abuses of history, practice and character the Wikipedia has allowed regarding Chopra's profile. One highlight (lowlight): "[Chopra's] Wikipedia biography proclaims: ‘Deepak Chopra is despised by all scientists as a dangerous fraud who sells false hope and spouts gibberish.'" Comment: I wasn't surprised to see that the very first comment was from Dana Ullman, MPH, who has seen a similar practice relative to homeopathy. I am reminded of the treatment of Tupac Amaru II, the Inca leader who was drawn, quartered and beheaded in Cuzco, Peru in the 18th century after trying to stimulate a revolt against colonizing ideas and practices. Chopra's Wikipedia self is receiving roughly the same treatment. The Council for Ayurveda Research (CAR) was founded in 2012 and has been functioning publicly since October 2014. The focus is "advancing research on Ayurvedic medicine, as well as US-based and international collaborative research efforts." 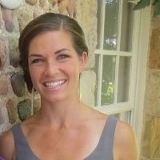 The co-chairs of the organization's Clinical Trials Committee (CTC) are Jennifer Rioux, PhD, CAP, RYT, formerly with the University of New Mexico, and Raja Shivamani of UC - Davis. The CTC is "taking on the foundational work of developing standardized assessment and outcome instruments to be used in upcoming research initiatives so that future research outcomes will be comparable across studies." Another goal is to develop "a reformulated case studies framework, based on the CARE guidelines, but made relevant for the Ayurvedic provider community, by including standardized Ayurvedic outcomes." The CTC plans to debut these guidelines at the National Ayurvedic Medical Association Conference in April 2016. The CAR Clinical Trials Committee is soliciting case studies for submission and offering support for authors who would like their studies housed in the repository. Pratibha Shah, BAMS, Masters in Ayurveda, MPH is the founder and director of CAR. Comment: Rioux, who also serves on the organization's executive committee, is a long-time advocate and promoter of whole systems research, including through case reporting. The CAR website is not immediately clear on where it anticipates finding the resources to power up its vision, though Shah appears to be well connected, from her bio on the site, both in the USA and India. The Project to Enhance Research Literacy led by Deborah Hill, MS for the Academic Consortium for Complementary and Alternative Health Care (ACCAHC) has one webinar ready for viewing, What Does Competency in Evidence Informed Practice Mean to Me? PERL has another coming up on November 17: Nuts and Bolts of an Integrative Competency in Evidence Informed Practice. Each includes an interprofessional set of speakers from such institutions as Mayo Clinic and Pacific College of Oriental Medicine. 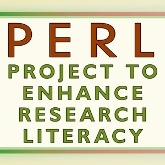 The two year PERL project webinar series, funded through a grant from the Josiah Macy Jr. Foundation, is available here. Comment: It is notable that one recommendation of the recent RAND Corporation's new report Complementary and Alternative Medicine: Professions or Modalities? is that all parties need to up their research literacy. Naturopathic physician Laurie Mischley, ND, MPH, PhD(c) is blazing a new trail for her profession. 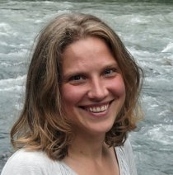 Mischley, who maintains research positions at Bastyr University and the University of Washington, is focusing on the utility of an intranasal glutathione spray for people with Parkinson's. Mischley has two ongoing studies funded by the Michael J. Fox Foundation.” She recently presented a poster entitled "Intranasal Glutathione in Parkinson's Disease" at the 2015 Parkinson's Disease Therapeutics Conference sponsored by the Foundation. Most of the Fox Foundation partners are pharma companies. Comment: This is notable as a new inroad into research acceptance of a representative of a once externalized profession. Credit the NIH NCCIH new investigator programs for Mischley's ability to develop as an investigator in her chosen area. The Academic of Integrative Health and Medicine's (AIHM) 2015 conference, People, Planet, Purpose: Global Practitioners United in Health and Healing" was the first AIHM gathering fully planned as an interprofessional organization. AIHM's president, Mimi Guarneri, MD, formerly an invasive cardiologist and AIHM's chair, Danny Friedland, MD, formerly an AMA evidence-based medicine educator, set an excited, movement-oriented tone of horizontal teamwork. Tieraona Low Dog, MD and Seroya Crouch, ND, co-leads of AIHM's new interprofessional fellowship in integrative medicine announced the program to over 300 interested attendees at a special lunch. Conference content was led by director of education Tabatha Parker, ND, and a volunteer team co-chaired by Wendy Warner, MD and Jennifer Blair, LAc, and included holistic nurse Lucia Thornton, RN and chiropractic educator and researcher Bill Meeker, DC, MPH. This was new and different. Something seemed to work. Over 200 new members joined AIHM during the week. Some $100,000 was committed to AIHM's Dream Builders Society membership. Over 70 indicated potential interest in filling the 50 slots for the January 2016 start-date of AIHM's new fellowship. And all this began auspiciously in a pre-conference session in which 30 organizations joined as founding members of AIHM's Associations Leadership Council (ALC). These ranged from the American College for the Advancement of Medicine to the Society for Oncology Massage to UCLA Healing Arts. The ALC agenda included initial collaborative steps toward creating a broadly inclusive "Big Tent" assembly of integrative health entities to jointly work to advance an integrative future for health and medicine. Comment: At some point in the week in San Diego I began to acknowledge a re-birthing of the creature called ‘hope' inside me, cracking through shells of earned disbelief and appearing thusly through my mouth: Even this old codger is being stirred by possibility. I'm on the Board of AIHM so have been a close observer-participant in its historic work to break down silos and create a powerful new and inclusive engine for the field. We've had our challenges in these first years. And this week in San Diego was remarkable evidence of what can come when leaders from multiple fields find their ways into the same room and learn the language and tools to explore and create new kinds of collaboration. Congratulations to the teams that pulled this off. (My own roles were minor.) Wonderful potential. An October 13, 2015 notice from Wayne Jonas, MD, CEO of the Samueli Institute provides an update on the organization's Chronic Pain Breakthrough Collaborative initiative. It is modeled on an Institute for Healthcare Improvement practice to foment rapid change, in this case in the treatment of chronic pain: "The mission of the working group is to achieve major improvement in person-centered, integrative care for patients with chronic pain, resulting in optimized human performance, quality of life, and daily function." The 8 institutions participating are listed here. They include 3 military delivery organizations, one from the VA and three integrative health academic institutions with programs in naturopathic medicine. Paul Mittman, ND, president of Southwest College of Naturopathic Medicine, is one of 40 leaders involved. In this post on the Collaborative's activities, Mittman honors the Samueli-IHI connection as "a brilliant marriage" in which the Samueli Collaborative's participants are using IHI's "Plan Do Study Act" (PDSA) strategy. Samueli will offer a web-based seminar on the first Collaborative's outcomes on January 13, 2016. Details to follow. Samueli will initiate a second collaborative in April of 2016. An overview is here. Comment: Fascinating to see the mix of organizations attracted to the first iteration. One imagines that the relationship building has proved a good back door for the naturopathic doctors to make headway in their plans for gaining inclusion in military and VA health care. That would be an additional sort of breakthrough that may come out of this program. Comment: Anyone who grew up on the "CAM" side of the integrative health street will know how rare a total of $100,000 in philanthropic investment is, from any source, over any time period, to those often seemingly red-lined philanthropic areas. NCMIC Foundation has moved a good deal of energy with this strategic investment - helping launch ACCAHC, backing critical initiatives, then supporting the present leadership transition. Nice! The American Chiropractic Association (ACA) announced on October 29, 2015 that it is taking on "a blatantly anti-competitive provision of Medicare law that arbitrarily limits reimbursement for medically necessary services delivered by doctors of chiropractic (DCs)." In what the ACA calls a "grassroots campaign," DCs would gain definition as "physicians" under Section 1861 of the Social Security Act. The target is "generating a robust level of patient grassroots support aimed at Congress that seeks to ensure that Medicare beneficiaries have full access to a broader range of covered services provided by chiropractic physicians than current law permits." The tool is a National Medicare Equality Petition. Since 1972, Medicare has covered chiropractic adjustment for back pain but does not respect the profession as professionals who evaluate and manage patients, and can provide an array of services. ACA's House of Delegates passed a resolution in February 2015 making Medicare parity a top legislative and regulatory priority. Comment: Perhaps the most significant complaint one hears about chiropractors is that some are merely rack'em and crack ‘em, taking little time with patients. This type of chiropractic practice is a consequence of insurance that defines them essentially as machines to do just that, rather than as physicians who can evaluate and manage and provide multiple services to positively impact quality of like - and who have a great deal of evidence saying there should be top of the line for back pain care. It's long past time to right this injustice and, more importantly, help the profession return to a strengthened whole person manifestation. Side note: Interesting timing that this kicked off just after the RAND Corporation's new report Complementary and Alternative Medicine: Professions or Modalities? The town of Cuenca, Ecuador, will host a 3-day Congreso Internacional Estilo de Vida Saludable through its Casa de la Diabetes November 11-13, 2015. The leadership of the gathering, reportedly the first of its kind in Ecuador, is through recent ex-pats in Ecuador Larry Scherwitz, PhD and Deborah Kesten, MPH. Authors and educators, Scherwitz and Kesten were the lead scientist and nutrition expert, respectively, on the first research on Dean Ornish, MD's program to reverse atherosclerosis through an integrative lifestyle program. Another lead presenter at the event is Oregon-and-California-based Ryan Bradley, ND, MPH. The October Global Integrator Round-up from Global Advances in Health and Medicine Journal includes 8 short pieces including: a review of activities in multiple nations on Africa Traditional Medicine Day; a notice on the need to fund research by, and about, the clinicians who provide the most Western care in Africa, namely nurses; an unusual Canadian naturopathic college collaboration with Rwanda researchers shows promise for supplemental selenium; the Dr. Roger's Prize of $250,000 that went to the immensely deserving Heather Boon, PhD, at the University of Toronto; an ambitious initiative to galvanize integrative initiatives in Scandinavia via the new Nordic Integrative Medicine; and the Quick Links to Global News in Traditional, Alternative, and Integrative Health and Medicine for August 2015 with 75 one-liners on myriad global activities in traditional medicine. A recent media alert from Bastyr University​ began with a statement that the institution "and 4-time Super Bowl champion Tom Brady have something in common: we know about the benefits of natural medicine." The message links to this radio interview in which, among other topics, Brady opines on how his view of medicine differs from the mainstream: "That's kind of [the conventional] approach to medicine -- let's wait until you get sick, let's wait until you get hurt, oh, and then we'll treat you. Well, how about finding ways to try to prevent yourself from that even happening? I think that's a much better approach to medicine. When you say, 'This sounds like quackery', well, there's a lot of things I see on a daily basis in Western medicine that I think, 'Wow, why would they ever do that? That's crazy. It doesn't work.' But that's just the way life is; I think a lot of things that are the norm, that are very systematic, don't work." Comment: As a Seattle Seahawks guy, hard to give it up to Mr. Deflategate on anything. But hey, politics makes for strange bedfellows. Is There a Role for You in Right Language to Release the River of Health from the Medical Industry? Confucious: get your language right! Confucius said: "The beginning of wisdom is to call things by their proper name." Mark Twain said: "The difference between the right word and almost the right word is the difference between lightning and a lightning bug." These quotes were shared with me by colleagues Suzanne Snyder and Greg Busch, MPH, respectively, when I shared with them the gist of a column I recently had published in Global Advances in Health and Medicine Journal. The title: Right Language to Release the River of Health from the Medical Industry. In the column, I take off with the unveiling and empowering that came with President Obama's renaming of Mt. McKinley as Denali to cast light on how the concept of "health" has been bruised and buried by misappropriation. Should we use "health" when we are referring to the practices of a medical industry that is focused more on production of procedures or, at best, sick care, than on health care, or on, as Don Berwick, MD has called it, "health creation." Twain: get your language right! The column concludes with this recommendation: "To foster the liberation of the health creation enterprise, consider committing to these everyday language changes. In the place of routine use of healthcare system' speak of the ‘medical delivery organization.' Use ‘disease treatment' or ‘symptom suppression' when these describe the boundaries of the intervention. If motives in a given context are substantially focused on production of procedures, call that ‘medical industry.' If a clinical or community strategy takes on the holistic view of engaging the causes, then consider ‘healthcare.' The exercise is not punitive. Each type of intervention can be useful. Clarity of purpose is the goal. Call salt salt and pepper pepper. Call sick care what it is. And call the unsolved puzzle of health creation honey. Each right use will help release the river of health." In a October 12, 2015 newsletter, the Academic Consortium for Complementary and Alternative Health Care (ACCAHC) announced that David O'Bryon, JD, CAE was elected ACCAHC chair. O'Bryon is the long-time president of ACCAHC core member organization, the Association of Chiropractic Colleges. He also currently serves as the co-chair of the Advisory Council of the National Association of Advisors to the Health Professions. O'Bryon states: "ACCAHC continues to be a guiding force in integrated health care and I hope it continues to provide its member organizations leadership opportunities to enhance the health care system." One of the founders of ACCAHC, he previously served as the board's vice chair. He replaces Elizabeth Goldblatt, PhD, MPA/HA who was selected by the board as a new co-executive director of ACCAHC with Martha Menard, PhD, LMT. Comment: O'Bryon was an early visionary in the chiropractic community who saw the value in the interprofessional engagement ACCAHC represents. His leadership extends to key roles with the Integrative Health Policy Consortium particularly in the area of policy where his background in successful lobbying for chiropractors has been particularly valuable. The former director and organizer of the pioneering integrative cancer program at Dana Farber Anne Doherty-Gilman, MPH has stepped up to chair the Integrative, Complementary and Traditional Health Practices Section of the American Public Health Association. She takes over from her close Boston colleague Beth Sommers, LAc, MPH, PhD whose term has seen what was a CAM special interest group successfully gain elevation as a full Section as its membership doubled to nearly 500 members. Comment: The Sommers-Doherty duo has brought powerful advances to this work inside the huge APHA machine. Here's looking forward to the new advances under Doherty's leadership. In its first award ceremony, the Academy of Integrative Health and Medicine chose to honor three powerful pioneers. Two are novogenarians. Gladys Mc Garey, MD of the Foundation for Living Medicine was honored with the Lifetime Achievement Award. San Diego local, Deborah Szekely, known as the Godmother of the Wellness Movement, received the Change Maker Award for work as activist, philanthropist and writer. Jean Watson, PhD, RN of the Watson Caring Science Institute, was awarded the Visionary Award for caring science leadership. The award descriptions are here. Comment: Of the three, Mc Garey is the one with whom I have had the opportunity to connect with over the years, going back to the early 1980s. Most recently her close aide and CEO of her Foundation for Living Medicine Rose Winters contacted me for a brainstorm when Mc Garey decided to take on Congress a few years back at the youthful age of 90. Wow! All I felt was: Bow down! Three lives well-lived.